Footfull stands for monster Electro House freshly produced in Germany. He is taking over the scene with his gritty baselines and incredible melodies, which are heavily inspired by dubstep tunes. After releasing his debut EP on Moshbit Records he was ready to unleash his remix for Dynomyt on Ehtraxx which got featured on the Beatport B-Sides chart next to artists like AK9, FTampa, Insan3lik3 and more, plus it got included in the Rise Radio #011. Next to these tunes he released some quality free tunes which include a massive collab with talented producer Fast Rise (changed name to Madistt) and a heavy remix for Dreist on Moshbit Records. 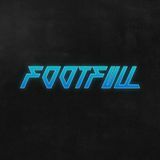 Footfull will never stop working on his sound and will bring out heavy tunes and remixes. Footfull started 2014 with a heavy remix for Evo-K again on Ehtraxx after that release he was ready to drop his remix for Coldbeat&apos;s massive tune Shockwave which got first played at the Under The Influence radio show with Rubicon 7.